If you are trying hard to get a PR for Canada then you will definitely get it down the lane. But make sure that your actions are going in the right direction. A single wrong move can lead to cancelation of your Visa. It is important that you have all the important things in mind before you submit your applications. Always remember that there are many things that can become a hurdle in your path of getting Canada permanent resident visa. So, just keep in mind the following points and your chances of getting a visa will remain high. If you are applying for permanent residence then you should know that it is a chief undertaking – it is going to be a time-consuming process and will probably occupy your life from the very day you submit your application till the end of the process. If you want to reduce your nervousness and remove all the doubts and ambiguities from getting emerged after you submit your application, you should do your research before you submit the application. Read all the information given on a trusted platform, at least two times, and do the needed. Don’t leave any room for conjecture. Make sure that you review the documentation checklist manifold times to completely understand the things you will need before you apply. There are many people who work on applications over a couple of months. They simply fill all the forms well before. However, it is important to know that the forms are continually changed by the CIC, and no announcement is really made when forms get updated. Since it is so, it is crucial to always download and use the forms from the CIC site. You should never make use of forms that have been downloaded from another website. Just go through all the forms given and make sure that you pick the ones that are most recent. What is the point if you fill up a form and later on discover that it was outdated? - Write down your duties independently of NOC database. There is no need to copy and paste from NOC database as it will raise flags for the Visa Officer. So, be true in whatever you do. - Get an opinion from HRSDC for your NOC code based on wording of your reference letter and include their response along with your application. It will help Visa Officer in his assessment. 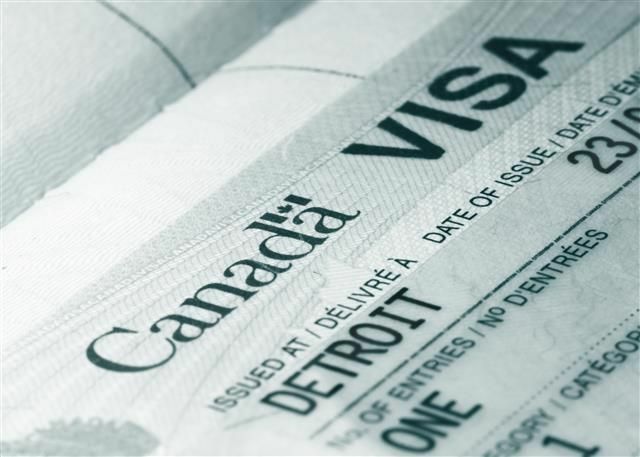 So, it is quite challenging to get PR visa Canada but not impossible if you have the right things in mind. Make every move tactfully and you can get your PR sooner than you expect.